Sometimes buildings have to be adapted to meet the particular needs of the occupants. 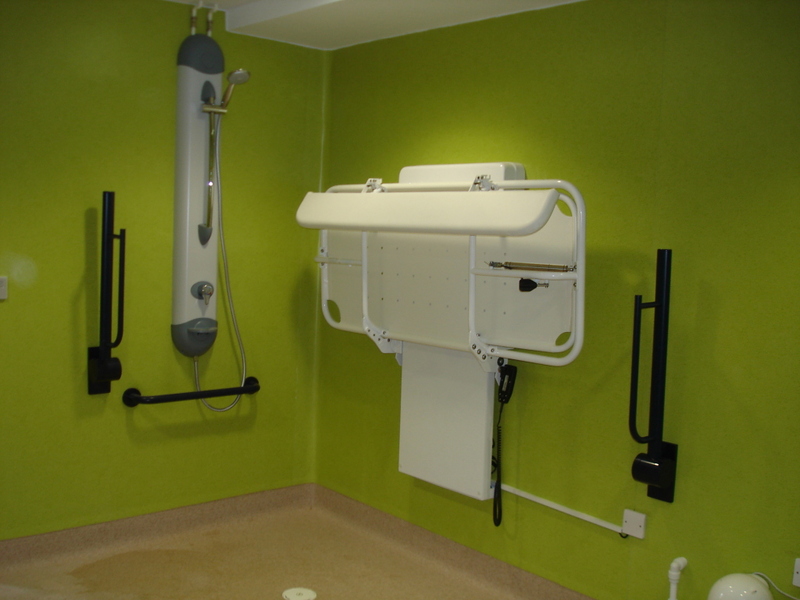 One Bedfordshire school had a requirement to provide special facilities for a disabled child, which needed to include a shower, changing table and separate DDA WC. Fortunately, PCMS Design staff have specialist knowledge in this area, and therefore were able to design a facility to meet the latest standards as set down in Disability Discrimination legislation. The layout and specification of the new facility complies with Building control and the relevant British Standard. An area of the existing building was earmarked to provide the facilities, and work was largely carried out when the school was closed to minimise disruption. The School now has a dedicated changing and shower wetroom, which has a wipe-clean printed vinyl wallcovering in a bright colour and capped and coved vinyl floorcovering. This entry was posted in Bedfordshire, building control, refurbishment, renovation, School Construction, School Refurbishment on September 22, 2014 by admin. Now that the summer holidays are over we are very pleased that three school building projects in the Dunstable area have been completed in time for the start of the new academic year. Hadrian Academy wanted to reconfigure their building to provide a larger classroom to maximise usable teaching space, which also involved altering some WCs. Works began as the School broke up in July, and were finished by the start of term. 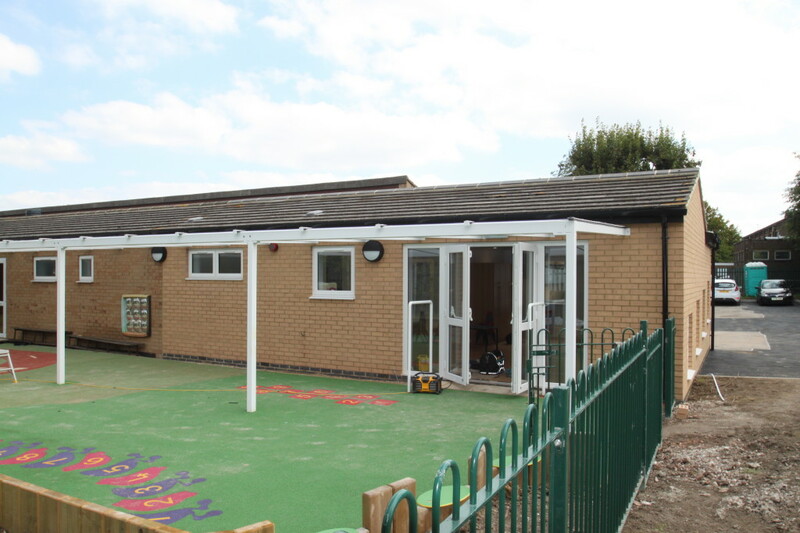 Westfield Nursery School has benefitted from a new classroom extension, which also includes dual purpose child’s WCs and changing area, and a brand new entrance. The existing buildings at Watling Lower School have also been reconfigured to provide additional early year’s classroom space, and a new reception and office area for staff, parents and visitors.